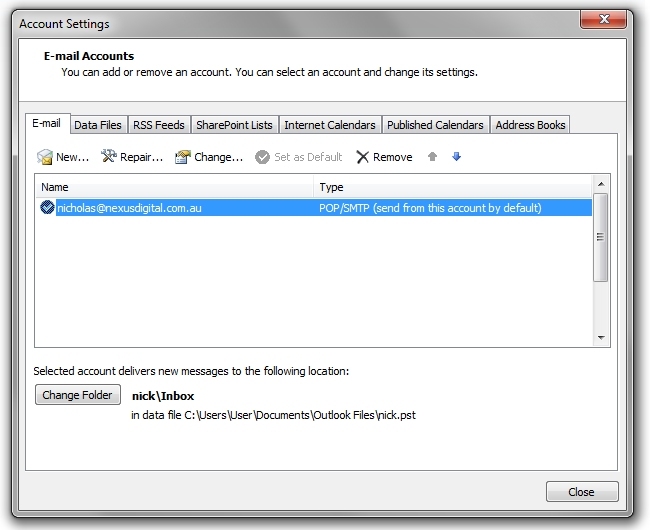 The following series of screen shots show you how to configure the outgoing (SMTP) mail server in Outlook. The email accounts should already be setup and connected before doing the following steps. 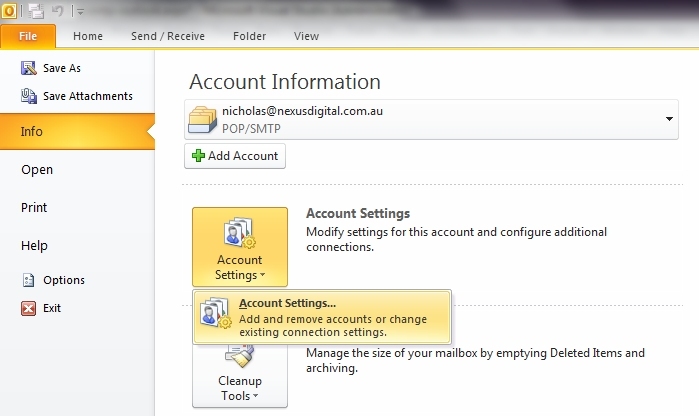 You should only use the Nexus mail server, mail.nexusdigital.net.au if you can not sent out via your ISP's mails server. 1) Firstly, choose 'File' and 'Account Settings'. 2) Select your email account. 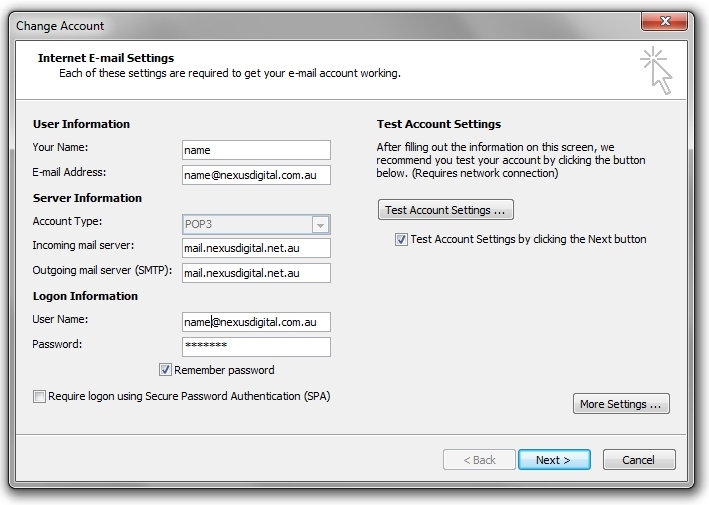 3) Enter mail.nexusdigital.net.au in to the outgoing mail server and click 'More Settings' on the bottom right hand side. 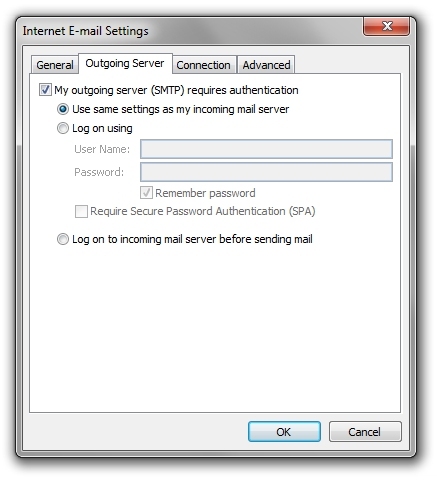 4) Click the 'Outgoing Server' tab, tick the first tick box 'My outgoing server (SMTP) requires authentication', then click the option 'Use same settings as my incoming mail server' and click the 'OK' button. 5) Finally click 'Next', 'Close' and your done. If your internet connection is wireless you may need to change the SMTP port to 587 in advanced settings.